Design Notes: A fun, floppy friend, indeed. "Skipit" is cuddly and soft, made of Bunnies By The Bay cream and tan cuddle fur. 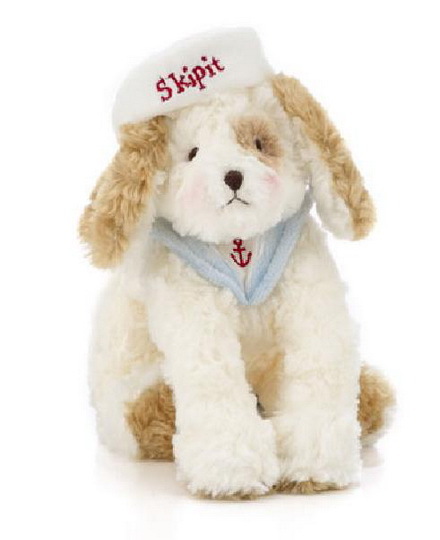 This salty sea pup wears a blue and white velour sailor collar embroidered with a red anchor, and a sailor cap with his name, ¡§Skipit", embroidered across the brim. Size: 12"